Go to Cincopa “Start” wizard, step 3: upload and manage assets (asset = media file). Choose your preferred upload method. Cincopa makes great effort to allow you the most convenient upload methods. 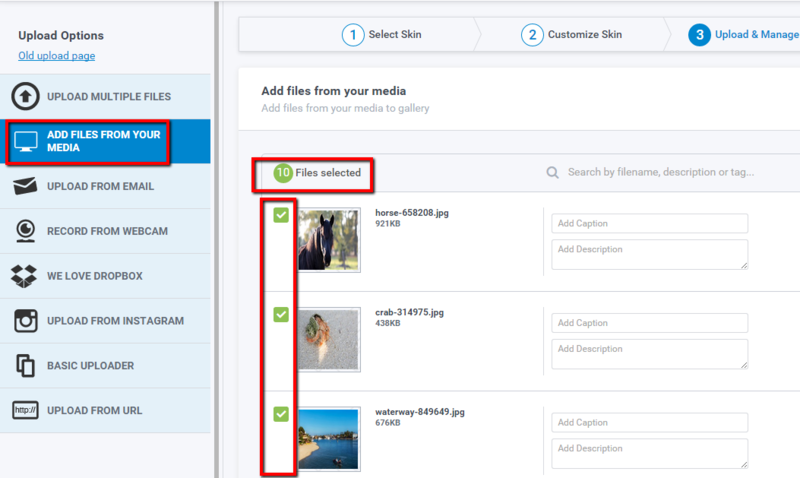 You can upload your files in a regular way by dragging your files from PC or you can choose to upload your photos directly from your Facebook or Instagram account, upload from Dropbox, even upload videos directly from webcam (awesome feature for video bloggers) or upload your video or music from url. Please note that you don’t need to resize and convert your images or video and music files. Cincopa platform does that for you. Just upload your files. by selecting files or you can also search to find it more easier. 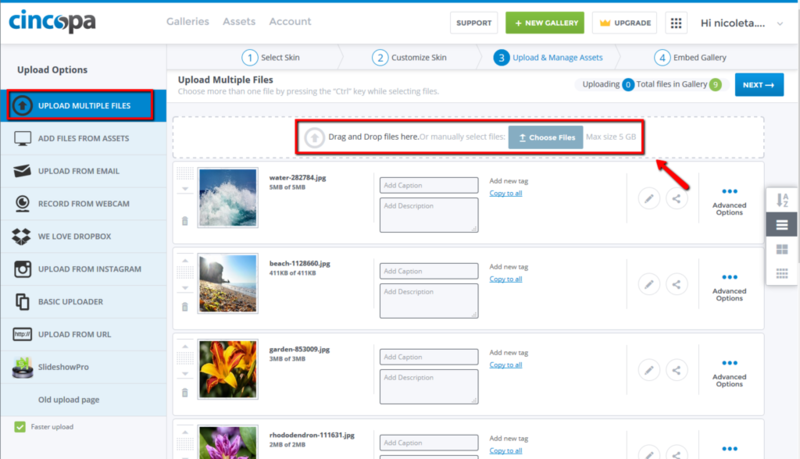 Upload directly from your Dropbox to your Cincopa account. NOTE: Files uploaded from Dropbox work only one at a time but as a solution you can install Dropbox on your computer and then use Upload Multiple Files or drag and drop upload methods. NOTE: Uploading from Youtube is not supported by Cincopa. Upload from URL will work as long as the URL is a direct video file URL. Instead you can convert Youtube videos to mp4 format files, save them to your computer and use Upload Multiple Files method.